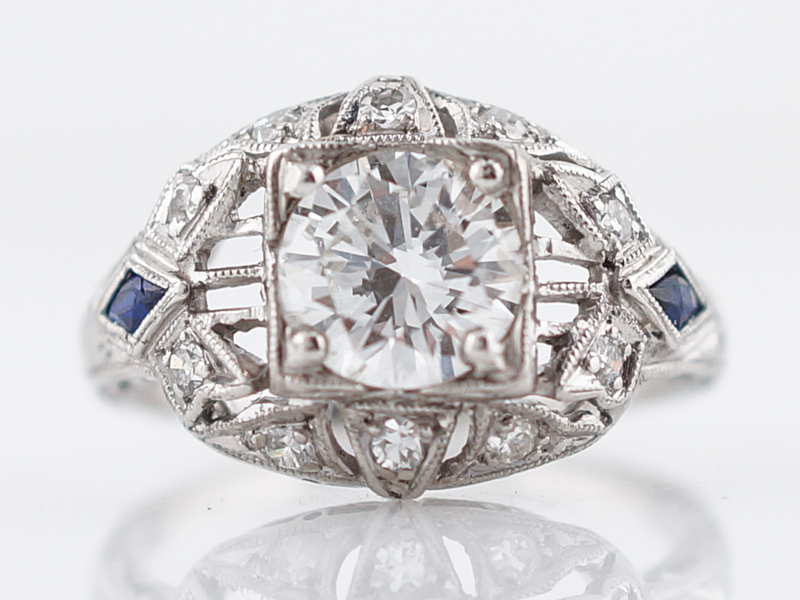 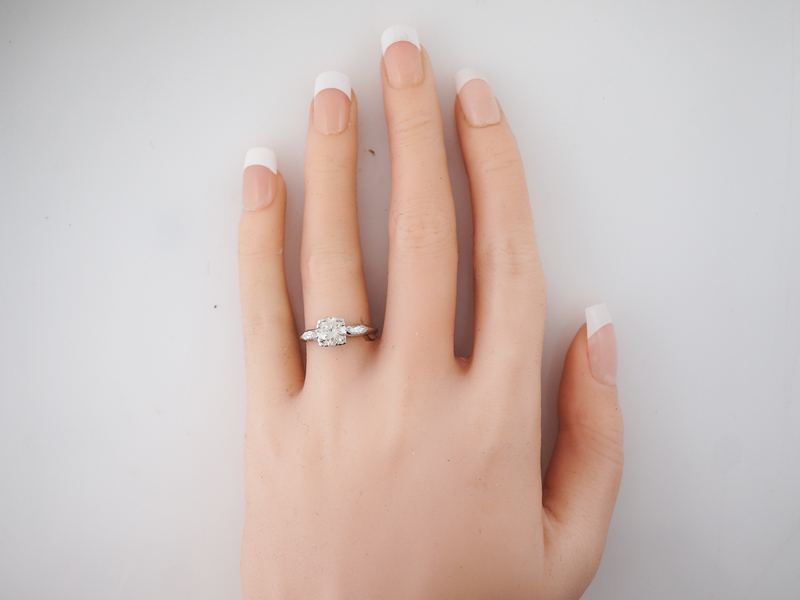 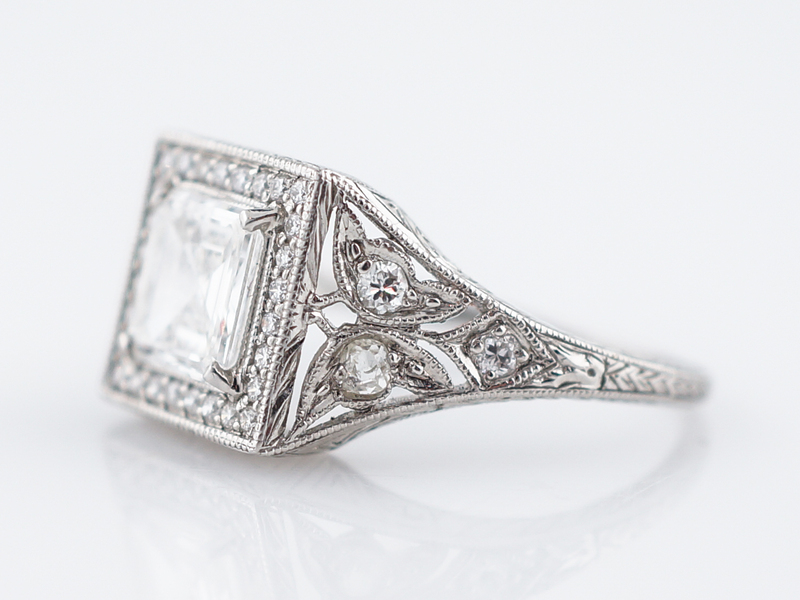 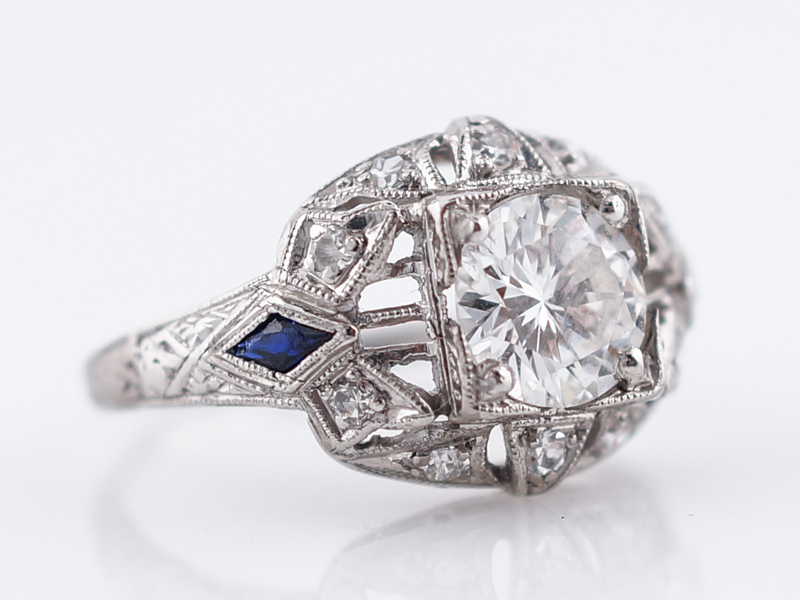 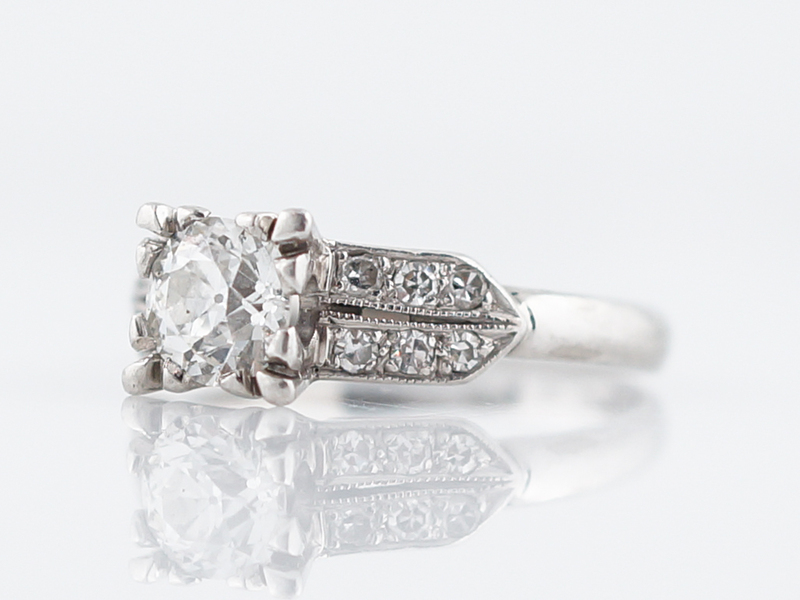 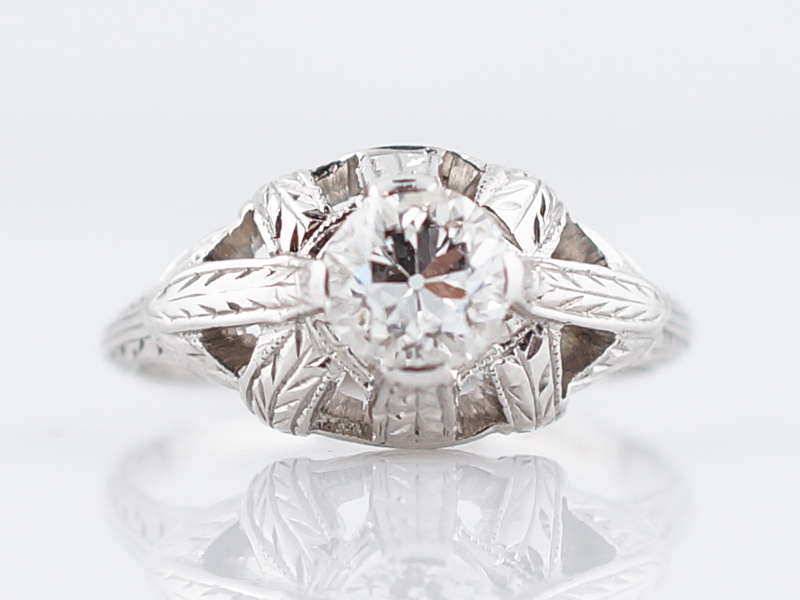 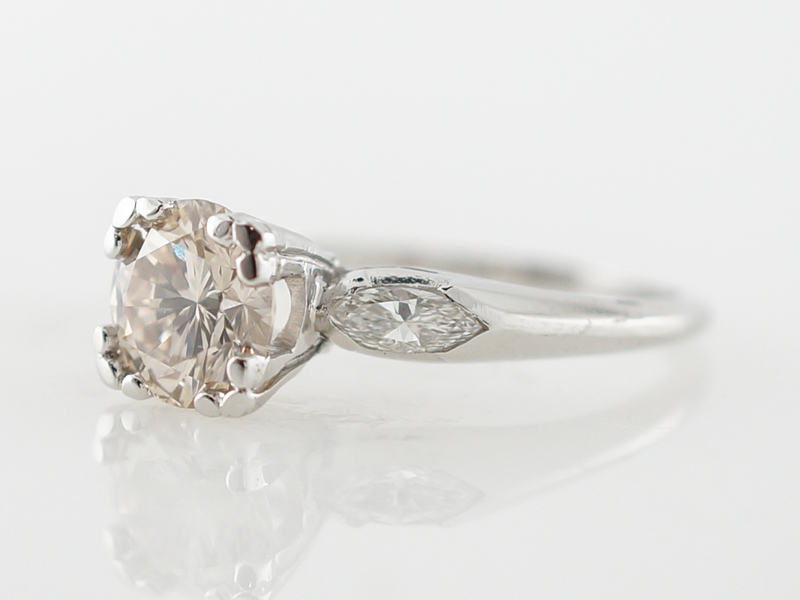 This original vintage engagement ring features a 1.18 carat round brilliant cut diamond. 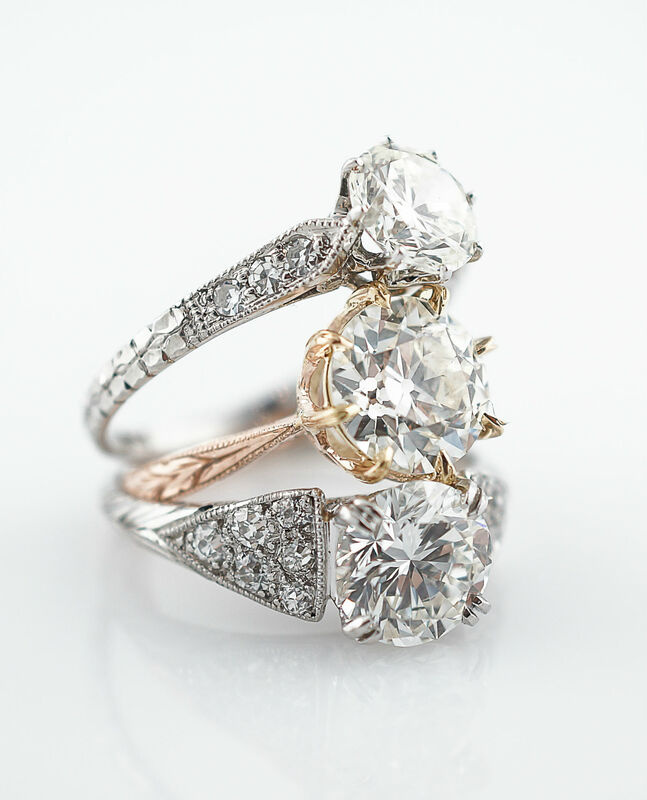 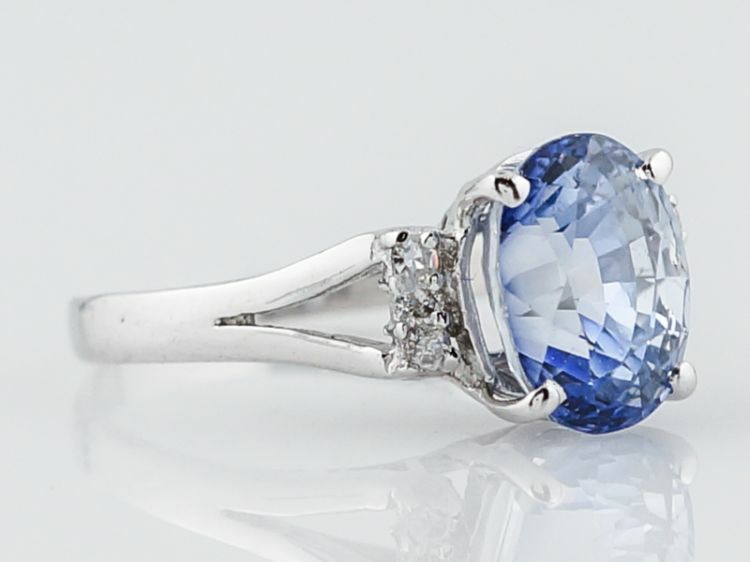 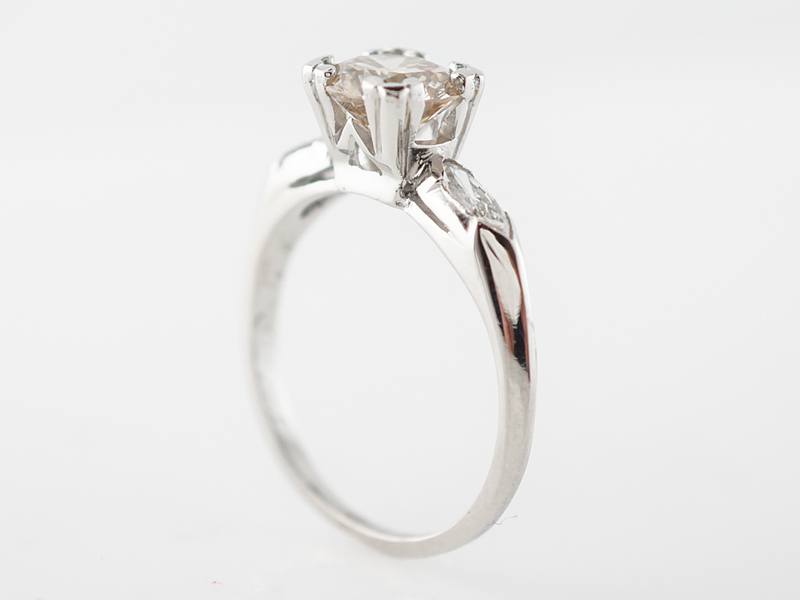 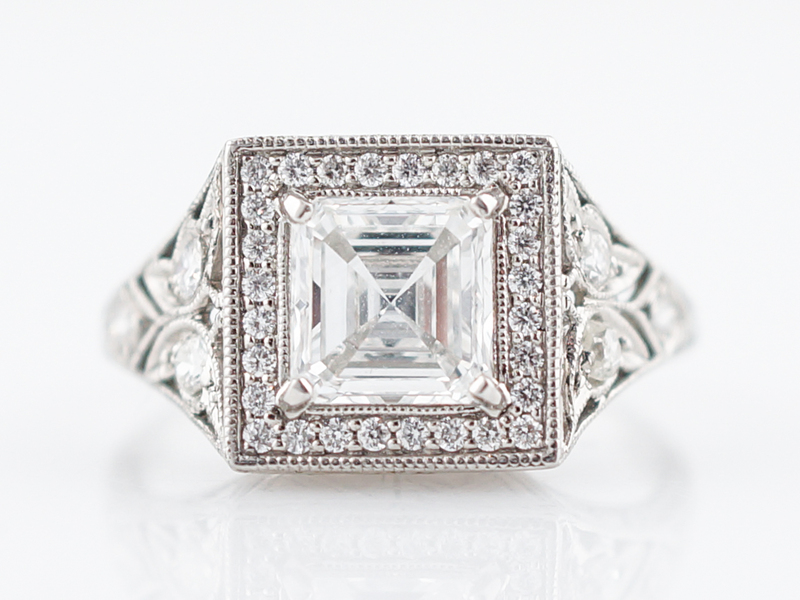 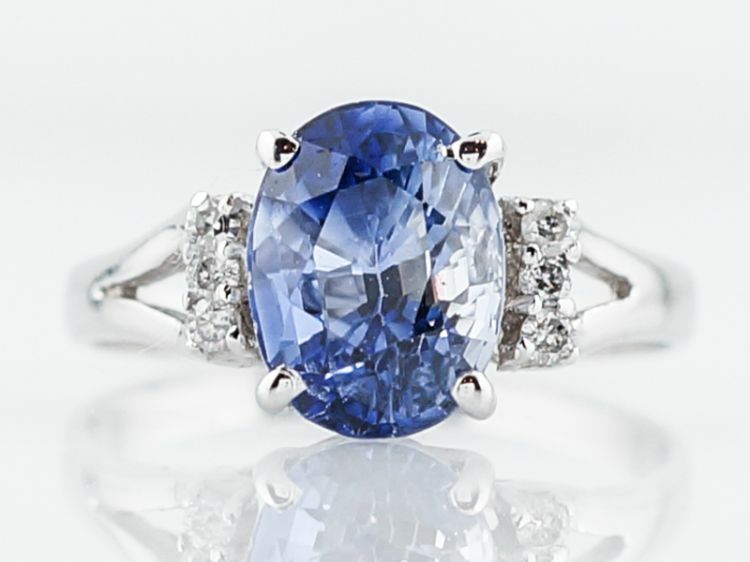 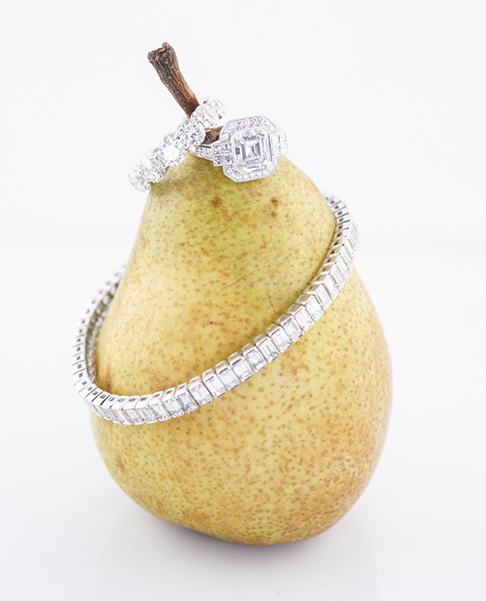 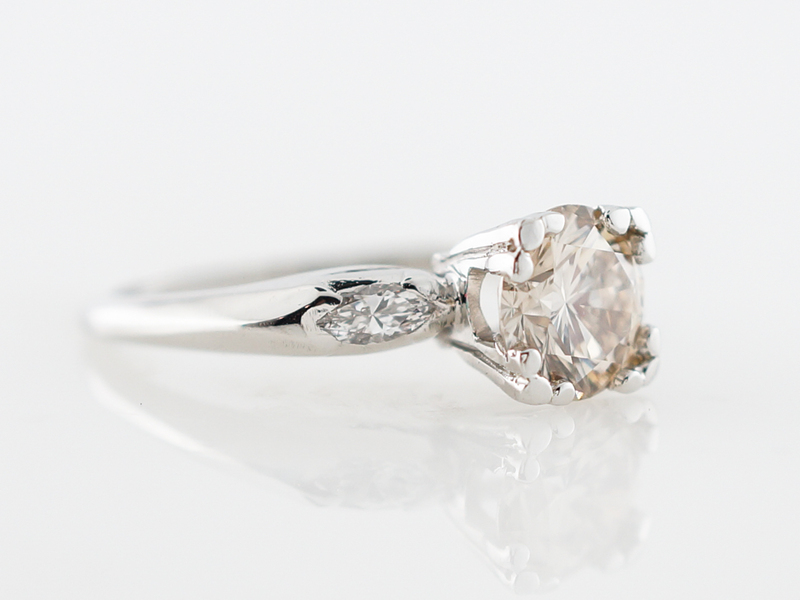 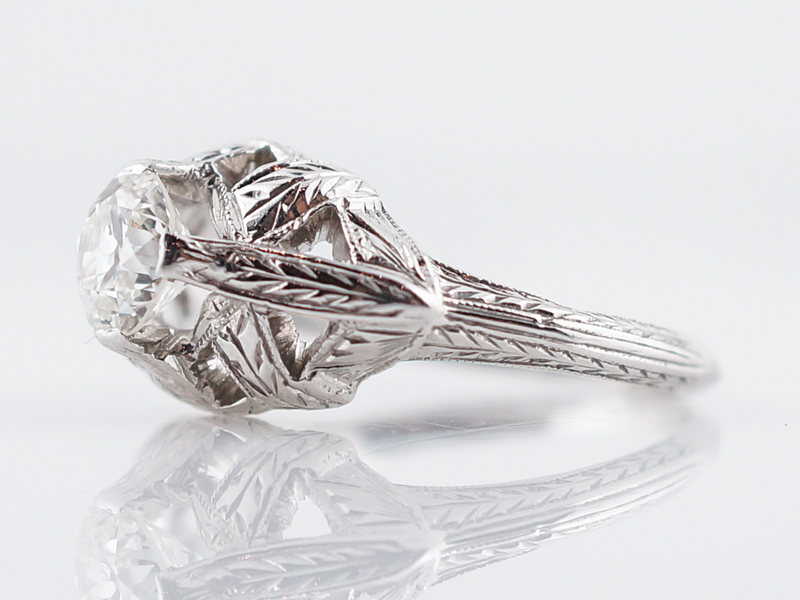 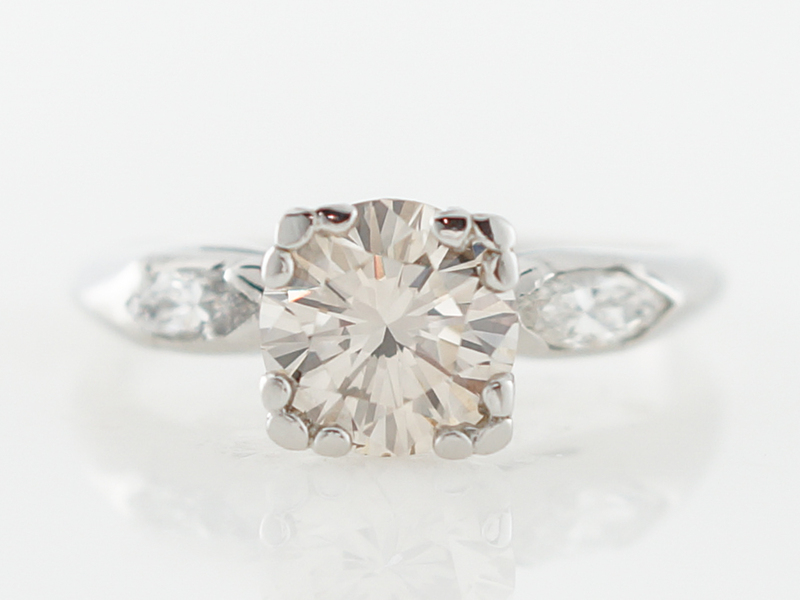 The center stone is set in a fishtail style prongs and is accented by a marquis cut diamond on each side. 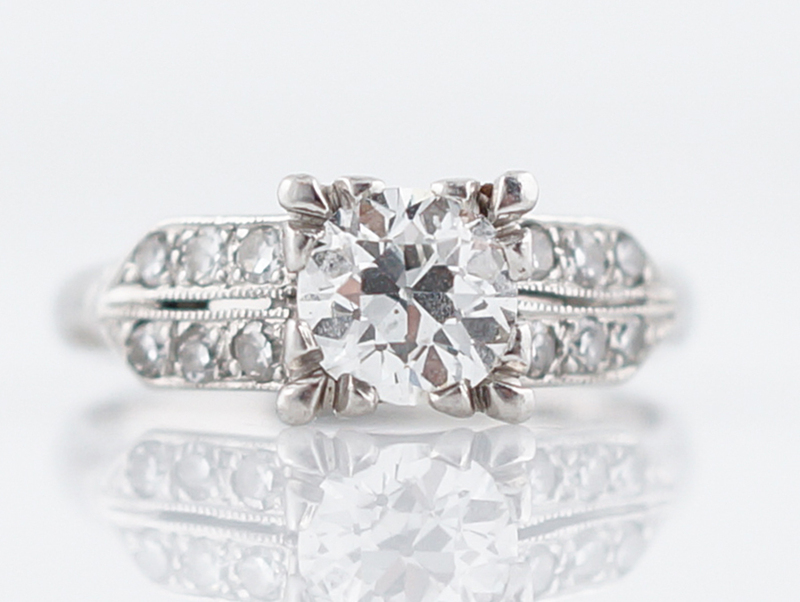 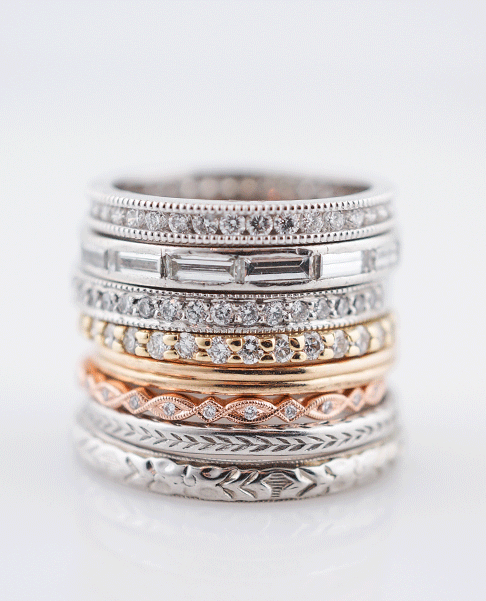 The elongated side stones provide a gorgeous bit of brilliance and taper into a smooth polished think platinum band.